In today's Insta-obsessed world, you don't have to travel too far to find a photo moment worthy of the 'gram. From floor-to-ceiling wall murals, to clever declarations on the floor, to cheeky neon signs hanging on the walls, every night out presents a new picture-perfect opportunity. But who said brightly illuminated signage could only be enjoyed while sipping overpriced cocktails at your neighborhood bar? Trendsetters from far and wide are breaking the rules by creating luminous and sometimes inspirational photo ops right in the center of their all-time favorite hangout: Their home. 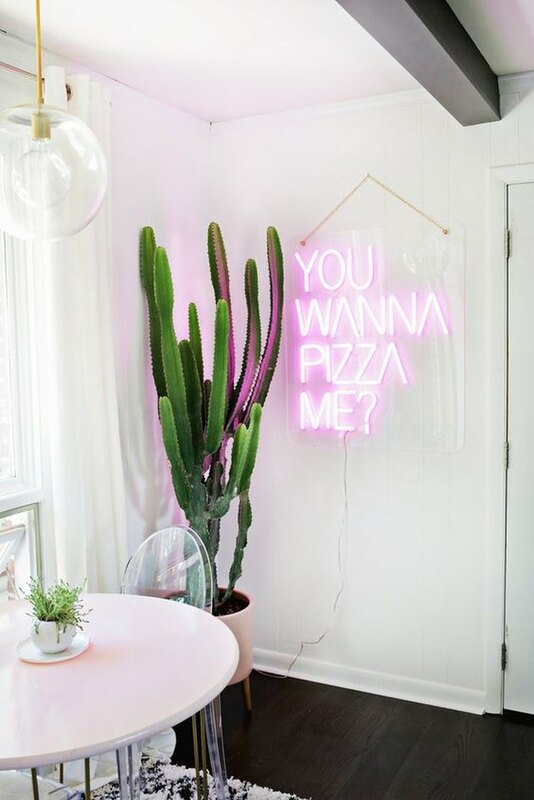 Here are 11 stunning abodes that prove statement-making neon signs are a radiant trend that we should all happily embrace. 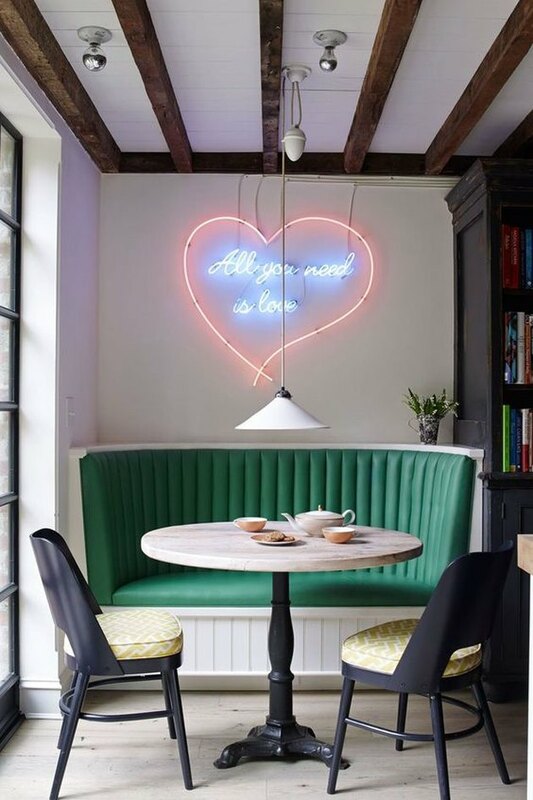 Jos and Annabel White's West Village town house dates back to the 1800s, but you'd never guess its age looking at this charming breakfast nook. 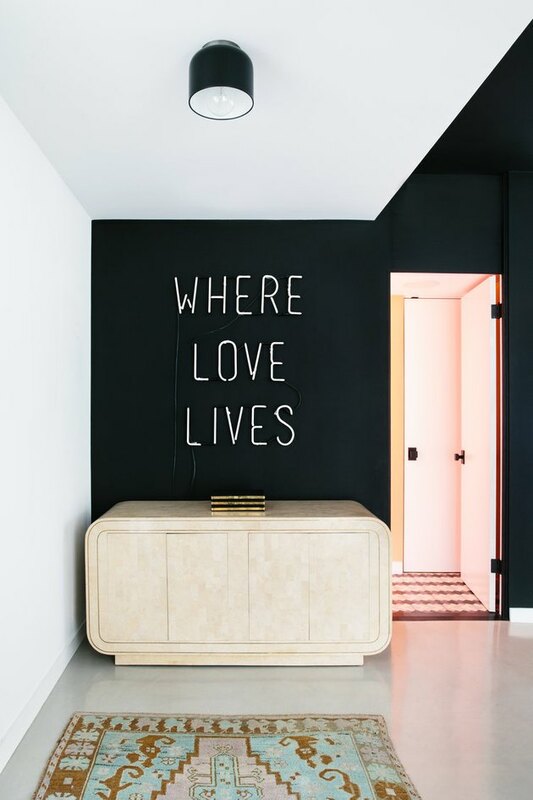 The historic six-story abode received an eclectic and modern makeover — mixing English and American styles; rustic and industrial details; and whimsical accents like this adorable neon sign. 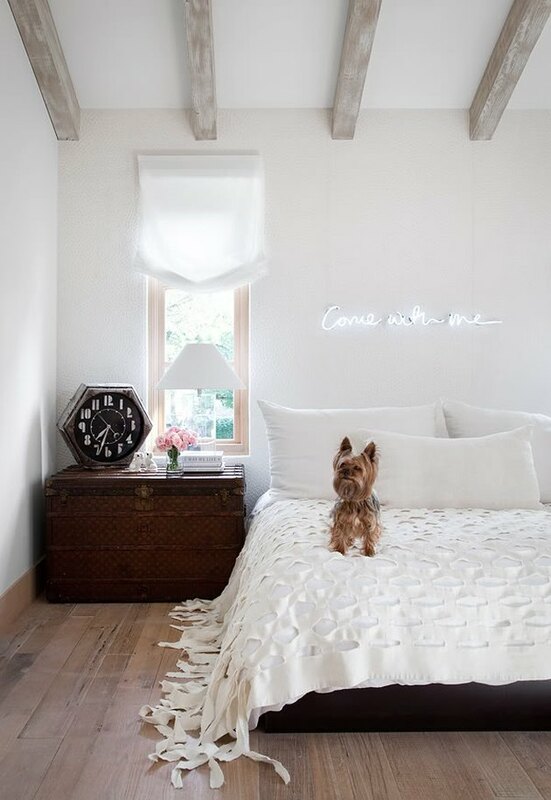 Celebrity hairstylist Jen Atkin's bedroom is a minimalist Ouai-sis where she can practice daily gratitude thanks to this lovely French reminder above her bed. 3. You Wanna Pizza Me? Pizza? Laura Gummerman from Gummergal is definitely speaking our language. 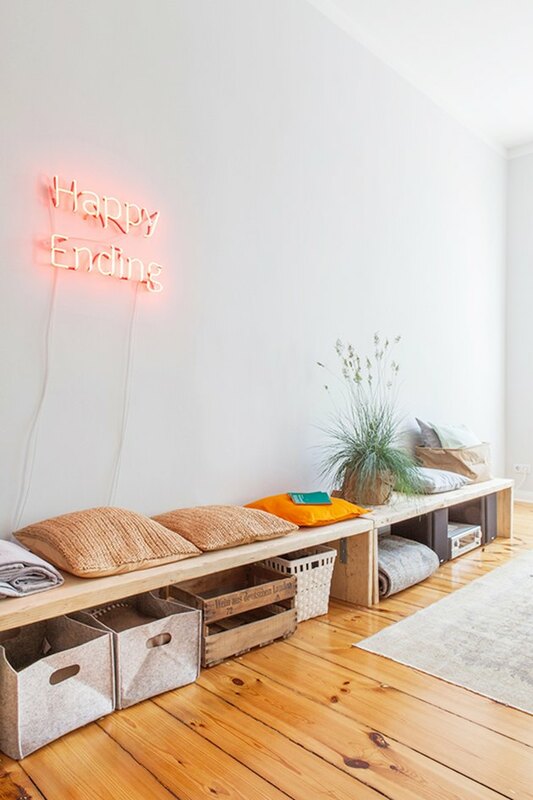 She had this playful neon sign custom-made by Electric Confetti ( $695 ) for her home. Interior Designer Patricia Bustos de le Terre's boho-chic dining room is a celebration of color and nature, and we couldn't have described it better ourselves! 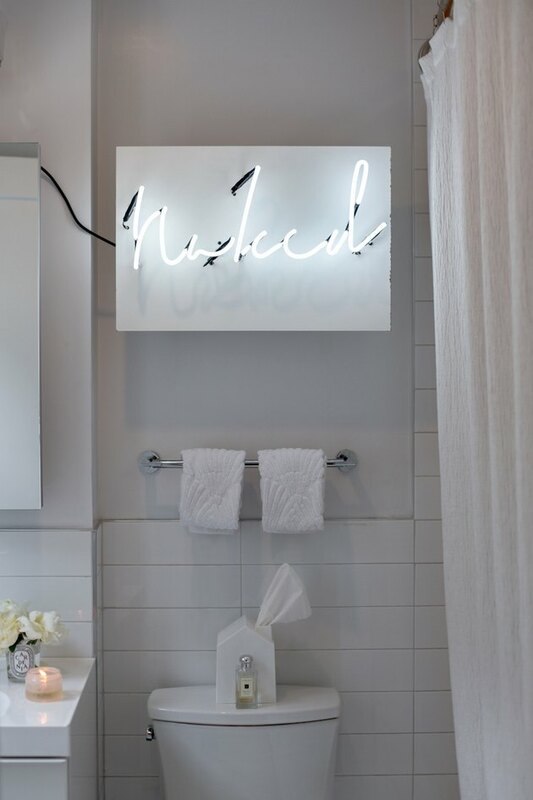 New Yorker Francesca Falzone decided to heat things up in her small all-white bathroom by adding this white-hot neon sign. 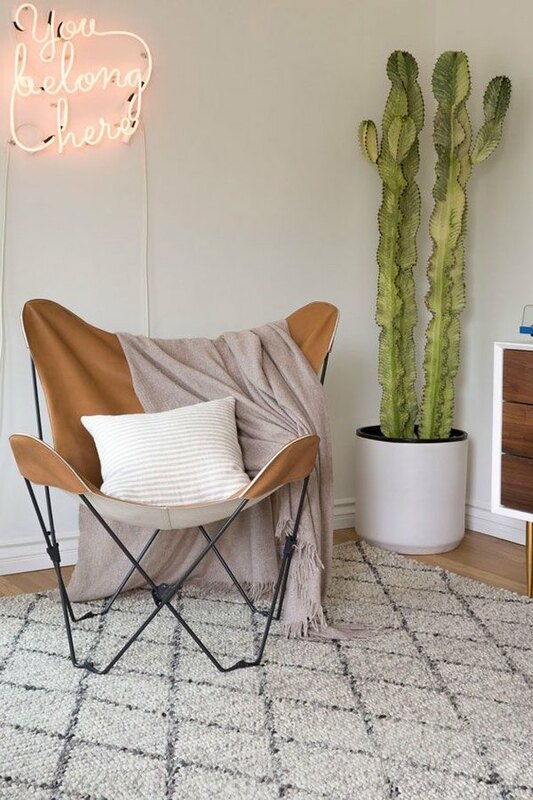 Parachute founder and CEO Ariel Kaye welcomes guests to her cozy SoCal digs with this warm and inviting custom neon sign lighting up her living room. Simply stated, just like the beautifully rustic Austin, Texas home of interior designer Elizabeth Stanley. 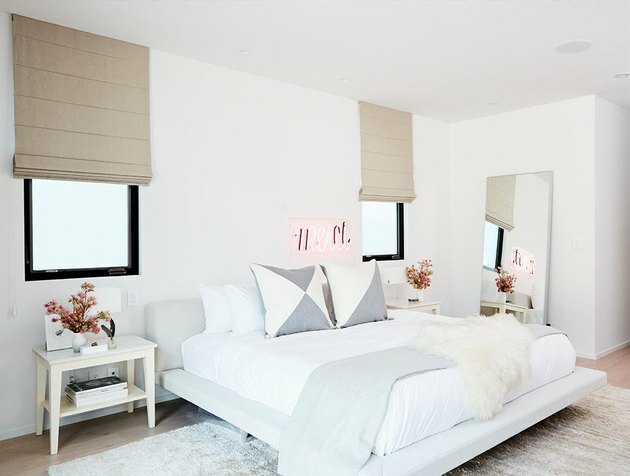 A Los Angeles-based artist is living her best life in this chic and creative condo designed by Black Lacquer Design. We don't think you can describe living here as anything other than: "Where Love Lives." Interior stylist Sarah Akwisombe has really outdone herself with this pink and red design! 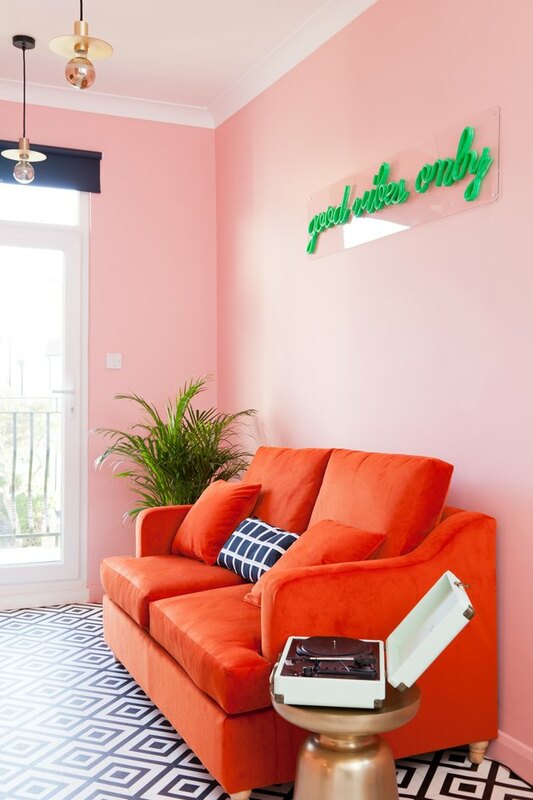 Bright and colorful, this cheerful pad is giving us all the feels, right down to the custom-made green neon sign. Berlin-based interior design firm Vintagency gave this small apartment a warm and cozy makeover using fun pops of color and vintage details. The custom neon sign by Sygns just adds to the industrial charm. 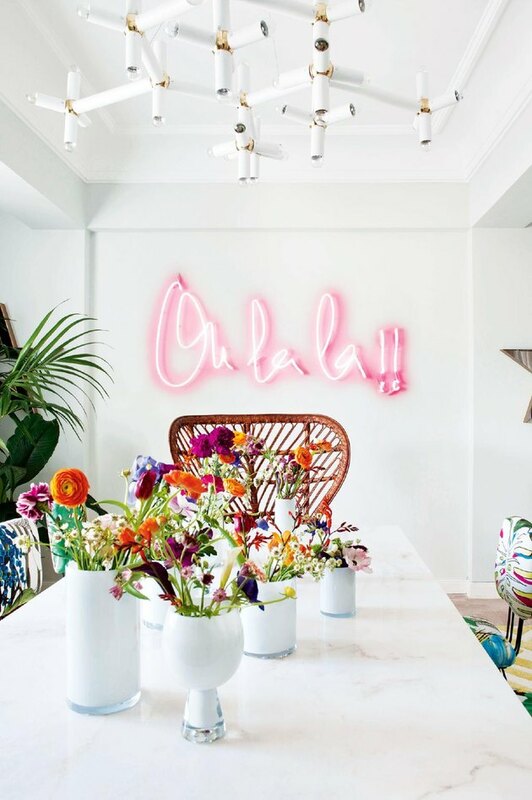 With the help of Decorist, design lover and former contestant on The Bachelor, Lauren Bushnell highlighted her Cali cool aesthetic with a custom-made neon sign, creating a pretty in pink sitting area perfect for hanging out with her gal pals.